This chapter explores the impact of Taliban abductions on the civilian population in Afghanistan. 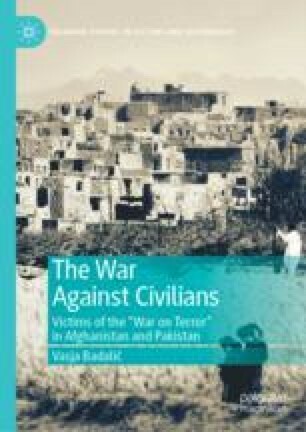 The first section shows how the Taliban regularly targeted two categories of individuals, that is, members of the Afghan security forces and civilians (e.g., people working for the Afghan regime and their foreign backers, employees of non-governmental organizations, journalists, tourists). The second section analyses the main objectives the Taliban wanted to achieve with the abductions (e.g., prisoners exchange, ransom, withdrawal of foreign troops). The last section shows how the Taliban violated a number of norms of customary international law—not only the prohibition of hostage taking, but also the prohibition of murder, the prohibition of torture and other forms of inhuman treatment, and the prohibition of forced displacements. Abdul-Ahad, Ghaith. 2010. “Five Days Inside a Taliban Jail.” The Guardian, November 25. https://www.theguardian.com/world/2010/nov/25/taliban-afghanistan-prison-special-report. Accessed on 30 September 2018. AIHRC (Afghanistan Independent Human Rights Commission). 2017. Attacks Against Hazaras in Afghanistan. Kabul: AIHRC. http://www.aihrc.org.af/media/files/A%20Short%20Report%20on%20Attack%20against%20Hazaras_English_Final.pdf. Accessed on 2 October 2018. Amini, Karim. 2017. “Taliban Ousts Residents from Kandahar Villages.” Tolo TV, August 3. https://www.tolonews.com/index.php/afghanistan/taliban-ousts-residents-kandahar-villages. Accessed on 24 September 2018. Azimy, Yousuf. 2007. “Taliban Release 12 Korean Hostages.” Reuters, August 29. https://www.reuters.com/article/us-afghan-hostages-idUSISL21282020070829. Accessed on 28 September 2018. Buncombe, Andrew. 2016. “Colin Rutherford: Canadian Held in Afghanistan for Five Years Released by Taliban.” The Independent, January 11. https://www.independent.co.uk/news/people/canadian-held-in-afghanistan-for-five-years-released-by-taliban-a6806751.html. Accessed on 28 September 2018. Clark, Kate. 2011a. The Layha: Calling the Taleban to Account. Kabul: Afghanistan Analyst Network. http://www.afghanistan-analysts.org/wp-content/uploads/downloads/2012/10/20110704_CKlark_The_Layha.pdf. Accessed on 1 October 2017. ———. 2011b. The Layha: Calling the Taleban to Account: Appendix 1: The Taleban Codes of Conduct in English. Kabul: Afghanistan Analyst Network. http://www.afghanistan-analysts.org/wp-content/uploads/downloads/2012/10/Appendix_1_Code_in_English.pdf. Accessed on 1 October 2017. DFAT (Australian Government—Department of Foreign Affairs and Trade). 2017. DFAT Thematic Report: Hazaras in Afghanistan. https://dfat.gov.au/about-us/publications/Documents/country-information-report-hazaras-thematic.pdf. Accessed on 2 October 2018. “French Woman Abducted in Afghanistan Freed.” 2007. CBC News, April 28. https://www.cbc.ca/news/world/french-woman-abducted-in-afghanistan-freed-1.635141. Accessed on 3 October 2018. Geneva Convention (III) Relative to the Treatment of Prisoners of War. Geneva, 12 August 1949. https://ihl-databases.icrc.org/applic/ihl/ihl.nsf/Article.xsp?action=openDocument&documentId=E160550475C4B133C12563CD0051AA66. Accessed on 17 September 2018. Giustozzi, Antonio, Franco Claudio, and Adam Baczko. 2012. Shadow Justice: How the Taliban Run Their Judiciary? Kabul: Integrity Watch Afghanistan. https://www.baag.org.uk/sites/www.baag.org.uk/files/resources/attachments/Integrity%20Watch%20Shadow%20Justice%20Dec.%202012.pdf. Accessed on 3 September 2018. Karimi, Storay, Jalil Rezaye, Qadir Sediqi, and Rupam Jain. 2018. “Taliban Kill 16 Afghan Soldiers, Kidnap Engineers After Ceasefire Ends.” Reuters, June 22. https://www.reuters.com/article/us-afghanistan-attacks/taliban-kill-16-afghan-soldiers-kidnap-engineers-after-ceasefire-ends-idUSKBN1JI0NX. Accessed on 26 September 2018. Karp, Paul. 2016. “Australian Aid Worker Kidnapped in Afghanistan Is Freed.” The Guardian, August 29. https://www.theguardian.com/australia-news/2016/aug/29/australian-aid-worker-kidnapped-in-afghanistan-released-by-captors. Accessed on 28 September 2018. “Kidnapped Italian Journalist Freed in Afghanistan.” 2007. Reuters, March 19. https://www.reuters.com/article/us-afghan-journalist/kidnapped-italian-journalist-freed-in-afghanistan-idUSSP4296520070319. Accessed on 3 October 2018. Mashal, Mujib. 2017. “Taliban Release Video of Foreign Professors Abducted in Kabul.” The New York Times, January 11. https://www.nytimes.com/2017/01/11/us/politics/taliban-video-professors-kidnapped-afghanistan-kabul.html. Accessed on 28 September 2018. Moore, Jack. 2017. “Freed Taliban Hostage Caitlin Coleman Reveals the One Good Thing About Her Family’s Captivity.” Newsweek, October 23. https://www.newsweek.com/freed-taliban-hostage-caitlin-coleman-one-positive-capture-690371. Accessed on 11 October 2018. Nordland, Rod. 2013. “Despite Taliban Threat, Afghanistan Manages to Entice Some Tourists.” The New York Times, January 12. https://www.nytimes.com/2013/01/13/world/asia/taliban-targets-tourists-but-some-still-visit-afghanistan.html. Accessed on 9 October 2018. ———. 2015. “For Swapped Taliban Prisoners from Guantánamo Bay, Few Doors to Exit Qatar.” The New York Times, May 31. https://www.nytimes.com/2015/06/01/world/middleeast/us-presses-qatar-on-travel-ban-for-swapped-taliban-prisoners.html. Accessed on 10 October 2018. Protocol Additional to the Geneva Conventions of 12 August 1949, and Relating to the Protection of Victims of Non-international Armed Conflicts (Protocol II), June 8, 1977. https://ihl-databases.icrc.org/ihl/WebART/475–760023?OpenDocument. Accessed on 26 September 2018. Saifullah, Masood. 2017. “Why Are Afghan Militants Targeting Aid Workers?” Deutsche Welle, September 18. https://www.dw.com/en/why-are-afghan-militants-targeting-aid-workers/a-40558657. Accessed on 10 October 2018. Schmitt, Eric. 2009. “Seized Times Reporter Is Freed in Afghan Raid That Kills Aide.” The New York Times, September 9. https://www.nytimes.com/2009/09/09/world/asia/09rescue.html?pagewanted=1&_r=1&sq=Stephen%20Farrell&st=cse&scp=3. Accessed on 28 September 2018. Shalizi, Hamid. 2007. “Taliban Kidnap 23 Koreans from Afghan Bus: Officials.” Reuters, July 20. https://www.reuters.com/article/us-afghan-kidnap/taliban-kidnap-23-koreans-from-afghan-bus-officials-idUSISL13294820070720. Accessed on 28 September 2018. Shams, Shamil. 2017. “Taliban Carry Out Mass Kidnapping in Afghanistan’s Kandahar Province.” Deutsche Welle, July 23. https://www.dw.com/en/taliban-carry-out-mass-kidnapping-in-afghanistans-kandahar-province/a-39805761. Accessed on 26 September 2018. Suroush, Qayoom. 2015. Hazaras in the Crosshairs? A Scrutiny of Recent Incidents. Kabul: Afghanistan Analyst Network. https://www.afghanistan-analysts.org/hazaras-in-the-crosshairs-a-scrutiny-of-recent-incidents/. Accessed on 1 October 2018. “Taliban Release 2nd Kidnapped French Aid Worker.” 2007. CBC News, May 11. https://www.cbc.ca/news/world/taliban-release-2nd-kidnapped-french-aid-worker-1.652279. Accessed on 3 October 2018. U.N. General Assembly. 1966. International Covenant on Civil and Political Rights. Adopted by the General Assembly of the United Nations on 19 December 1966. https://treaties.un.org/doc/publication/unts/volume%20999/volume-999-i-14668-english.pdf. Accessed on 8 May 2018. ———. 1979. International Convention Against the Taking of Hostages. Adopted by the General Assembly of the United Nations on 17 December on 1979. https://treaties.un.org/doc/db/terrorism/english-18-5.pdf. Accessed on 26 September 2018. ———. 1984. Convention Against Torture and Other Cruel, Inhuman or Degrading Treatment or Punishment. Adopted and Opened for Signature, Ratification and Accession by General Assembly Resolution 39/46 of 10 December 1984 Entry into Force 26 June 1987. https://www.ohchr.org/en/professionalinterest/pages/cat.aspx. Accessed on 14 August 2018. UNAMA (United Nations Assistance Mission in Afghanistan). 2015. Afghanistan Midyear Report 2015: Protection of Civilians in Armed Conflict. Kabul: UNAMA. https://unama.unmissions.org/sites/default/files/unama_protection_of_civilians_armed_conflict_midyear_report_2015_final_august.pdf. Accessed on 12 December 2017. ———. 2016a. Afghanistan Annual Report 2015: Protection of Civilians in Armed Conflict. Kabul: UNAMA. https://unama.unmissions.org/sites/default/files/poc_annual_report_2015_final_14_feb_2016.pdf. Accessed on 12 December 2017. ———. 2016b. Afghanistan Midyear Report 2016: Protection of Civilians in Armed Conflict. Kabul: UNAMA. https://unama.unmissions.org/sites/default/files/protection_of_civilians_in_armed_conflict_midyear_report_2016_final_rev.1-9sept.pdf. Accessed on 12 December 2017. ———. 2017a. Afghanistan Annual Report 2016: Protection of Civilians in Armed Conflict. Kabul: UNAMA. https://unama.unmissions.org/sites/default/files/protection_of_civilians_in_armed_conflict_annual_report_2016_final280317.pdf. Accessed on 15 March 2018. ———. 2017b. Afghanistan Midyear Report 2017: Protection of Civilians in Armed Conflict. Kabul: UNAMA. https://unama.unmissions.org/sites/default/files/protection_of_civilians_in_armed_conflict_midyear_report_2017_july_2017.pdf. Accessed on 12 December 2017. ———. 2018. Afghanistan Annual Report 2017: Protection of Civilians in Armed Conflict. Kabul: UNAMA. https://unama.unmissions.org/sites/default/files/afghanistan_protection_of_civilians_annual_report_2017_final_6_march.pdf. Accessed on 15 March 2018.